Hello, my name is Jessica and I'm an avid reader. Every avid reader knows you can't ask a fellow book lover what their favourite book is, or who their favourite author might be. How can we narrow it down to just one? Especially when one favourite always leads to another. That's how bookshelves grow, isn't it? 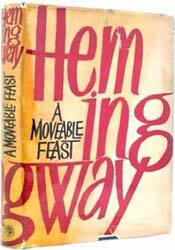 Ernest Hemingway's A Moveable Feast was an instant favourite. As soon as the last page was turned I picked up and devoured The Sun Also Rises and revisted Lost Generation writers I hadn't read in years, particularly F. Scott Fitzgerald. My bookshelf has since developed a bit of a Parisian theme, including titles like The Paris Wife by Paula McLain, a story based on Hemingway's first love Hadley Richardson, and The Sweet Life of Paris by David Lebovitz, the memoir of an American pastry chef living in the city of love. Unlike my affair with literary American expats, my love for Michael Ondaatje's writing was not so immediate. My first encounter with his work was laborious, to say the least. The book was In the Skin of a Lion, and while I could grasp that it was an incredible piece of literature, it intimidated me immensely. Eventually I gathered the courage to read Ondaatje's memoir Running in the Family, a fact and fiction story of his childhood in what is now Sri Lanka. Today, his titles fill my shelves, including a treasured signed copy of The Cat's Table. Alongside them live other Canadian favourites like Joseph Boyden's Three Day Road and Ruth Ozeki's A Tale for the Time Being. As Ondaatje's writing encouraged me to read more Canadian literautre, Khaled Hosseini's popular story The Kite Runner inspired me to expand my reading into other Western Asia countries where I discovered even more favourites. Snow by Orhan Pamuk is the haunting telling of a rash of suicides among young girls in Kars, Turkey, and the Interpreter of Maladies by Jhumpa Lahiri is a beautiful collection of short stories about dislocation in India and America. When an avid reader finds one favourite there are thousands more to be discovered. What are a few of your favourites?